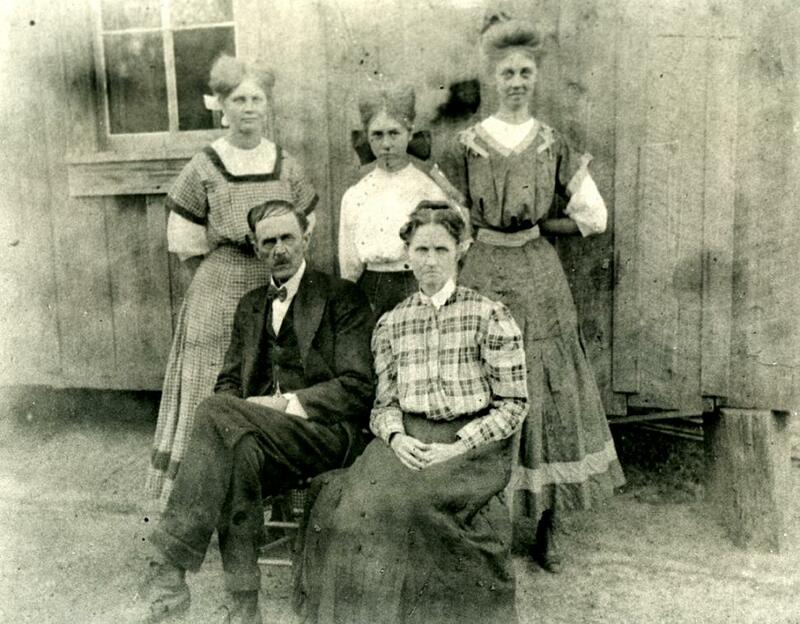 Comments: Dora Lee Barrington (Nee: Bruce) | Tx USA | 1901-1920 | Comments: This is a photo of the Bruce Family. The couple seated in front are my 2nd great grandparents, George Edward Bruce and wife, Lydia Roxanne (nee Gaston) Bruce. Standing behind them are three of their daughters, L-R: Nola, Cherry Bell, and Dora Lee, my great-grandmother. This photo was taken most likely in Nacogdoches or Trinity County, Texas (most likely Nacogdoches) sometime between 1905 and 1910.